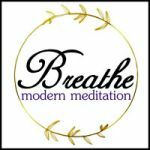 Monthly Unlimited Meditation Membership is good for all 30 or 45 minute guided meditation sessions as well as the EmPower Hour Classes, Membership allows no limits to the amount of sessions you attend with in a 30 day period from start date. Membership costs $59 per month and renews automatically every 30 days until cancelled. Cancel anytime.